Virtually every organization, whether it be a Family Business or a Fortune 500 Corporation, needs to understand that it possesses a trove of informational assets - information which is of critical value to its business operations and is often sensitive in nature to clients or customers. It’s exactly that sort of valuable information that has increasingly become a target of data breach threats in the modern era. According to the Ponemon Institute’s most recent Cost of Data Breach Study, the average cost of a data breach in the United States hit an all-time high in 2017 and, on average, one out of four organizations will at some point fall victim to a breach. 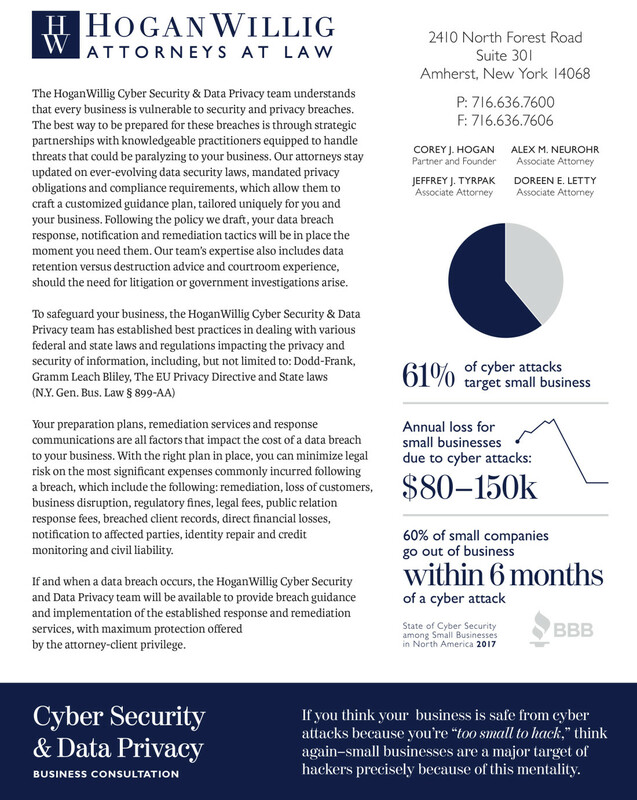 The HoganWillig Cyber Security & Data Privacy team understands that every business is vulnerable to security and privacy breaches. 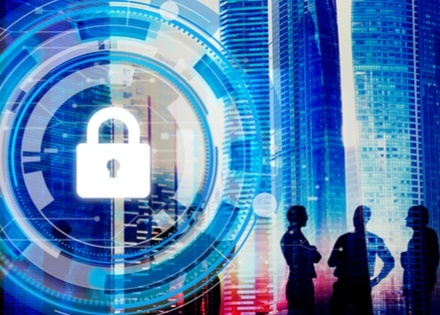 The best way to be prepared for these breaches is through strategic partnerships with knowledgeable practitioners equipped to handle threats that could be paralyzing to your business. Our attorneys stay updated on ever-evolving data security laws, mandated privacy obligations and compliance requirements, which allows them to craft a customized guidance plan, tailored uniquely for you and your business. Following the policy we draft, your data breach response, notification and remediation tactics will be in place the moment you need them. Our team’s expertise also includes data retention versus destruction advice and courtroom experience, should the need for litigation or government investigations arise. If and when a data breach occurs, the HoganWillig Cyber Security & Data Privacy team will be available to provide breach guidance and implementation of the established response and remediation services, with maximum protection offered by the attorney-client privilege.